Today, secure connectivity to the internet is vital for all communication networks. That’s exactly what the Fijoport IoT platform offers. 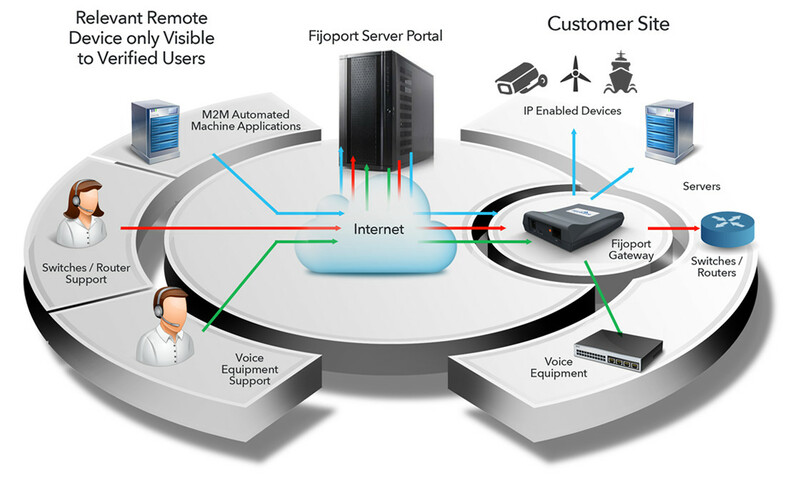 On installation of the Fijoport box on the customer LAN, the list of devices that the Customer Support Engineer (CSE) can access is programmed into the Fijoport. The Fijoport product has been certified against the Mitel MiVoice Business platform and the Avaya IPO Office platform. We have executive and ruggedised handsets that connect to single or multi cell base stations. The Fijowave Business DECT solution can easily scale up to 254 bases and 1000 handsets. It is ideal for businesses requiring wireless coverage across several floors or throughout large buildings. The Fijowave Business DECT product has been certified against the Mitel MiVoice Business platform and the Avaya IPO Office platform. The Single Cell system is perfect for smaller businesses with fewer users. The DECT repeater supports single and multi cell solutions, is wall-mountable and supports daisy chaining.